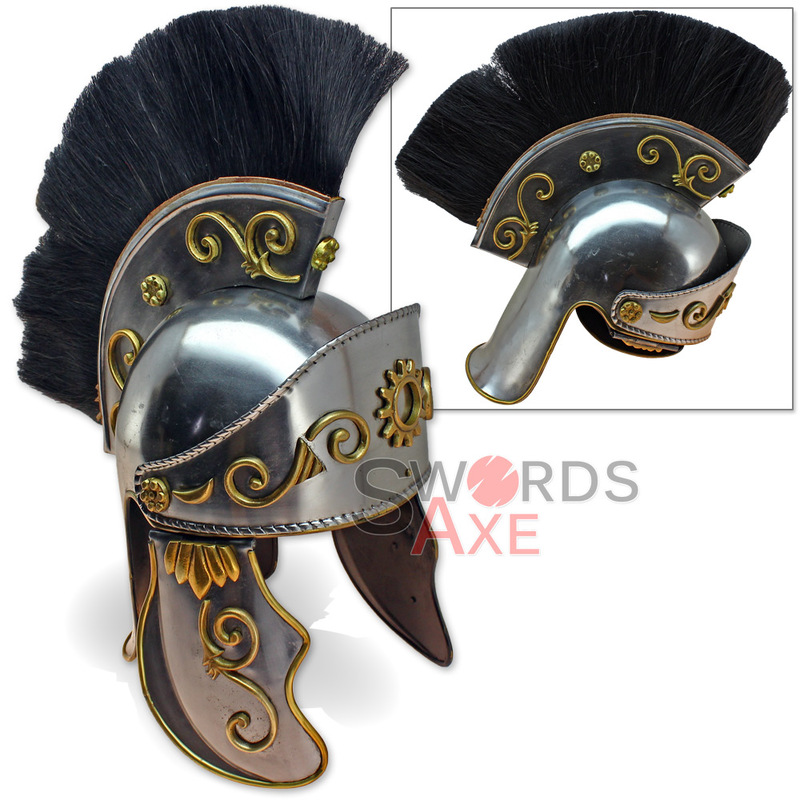 This fine carbon steel historical replica Centurion helmet features a real horse hair plume that is removable, plus is entirely handmade. 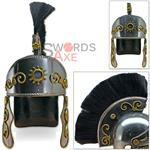 The steel has been skillfully shaped into a decorative piece, status symbol, and actual head wear protection armor. The steel is satin chrome plated for protective finish and adorned with golden metal trim. 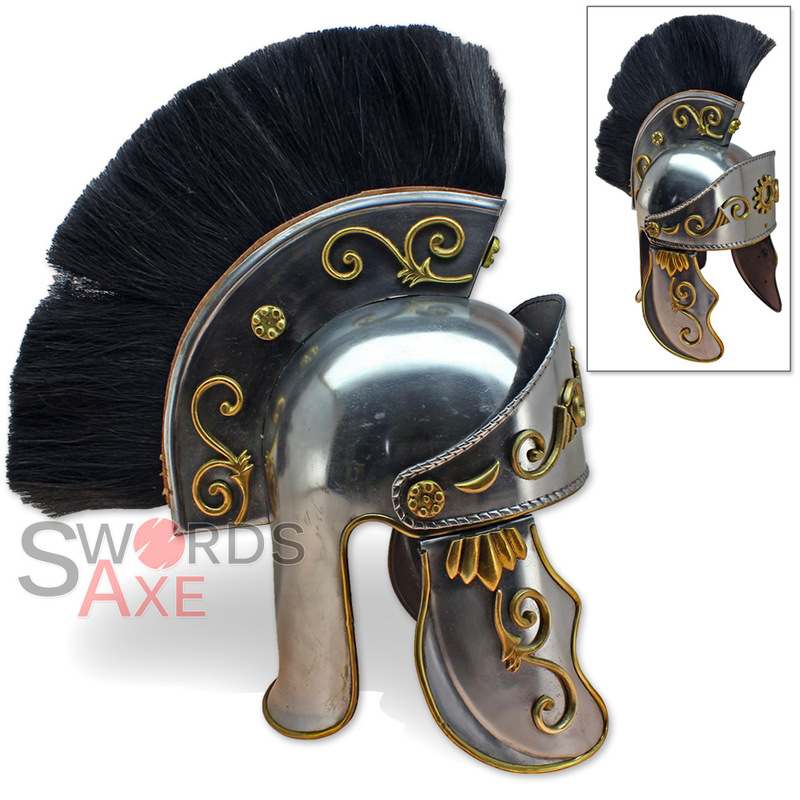 We recommend not wearing the black horse hair plume into battle unless you plan to fight dragons, trolls, and unicorns. 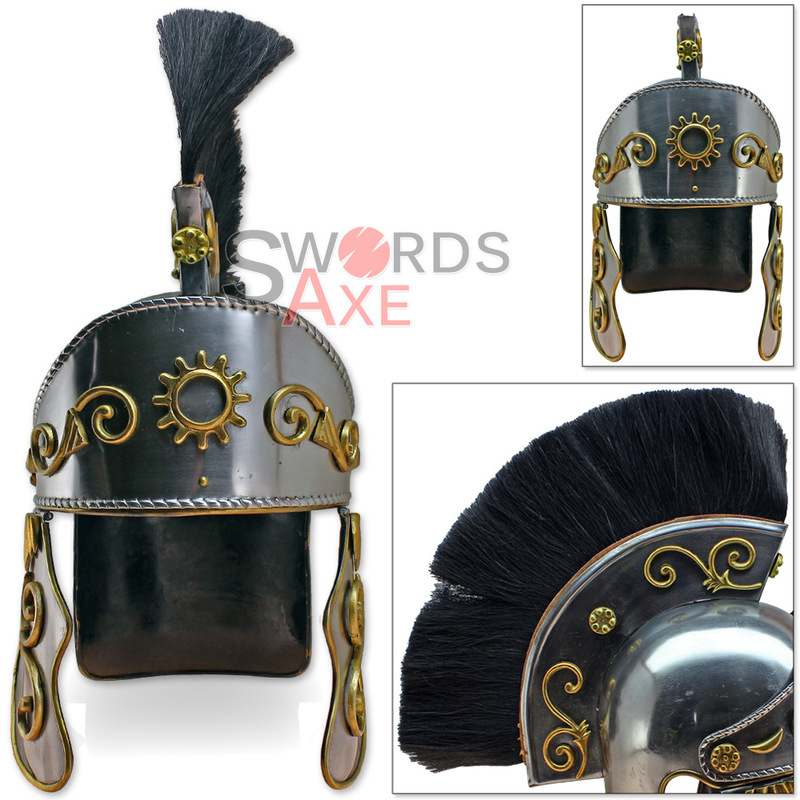 This is a very well made, sturdy helmet for reasonable functional protection of period accurate historical weaponry, costume, reenactment, and display. Despite having some rough edges here and there, each handmade helmet is unique and may have slight differences between any two pieces. We recommend you wear a cotton padded coif (head covering) under the helmet for comfort and absorption of kinetic energy, and possibly supplement with your own adjustable leather suspension.